Carolina Cove has only seen one sale so far this year. That particular home was a beautiful waterfront home on Lake Livingston. The number of days on market were only 55 and the seller received 98% of their asking price. Why so few sales? In my opinion, it is because once someone moves to Carolina Cove they do not want to leave! Typically when a homeowner sells their Carolina Cove home, it is because they are moving closer to their children, OR... they are not close enough to use their lake house like they would like to. There are 2 NEW LISTINGS in Carolina Cove. One is a waterfront home for sale on Lake Livingston, and the other is a waterfront home for sale on a spring fed lake within the subdivision. If you want a waterfront home, but not willing to pay the price, take a look at the home that is on the spring fed lake. Carolina Cove has 2 boat ramps making access to Lake Livingston a breeze! So you could enjoy waterfront at a fraction of the cost! There are no active lot listings on MLS. 2 interior lots did sell earlier this year FSBO and the seller received 100% of their asking price. There has been 1 expired listing so far this year. However, that particular listing was rented out to friends during the listing period. 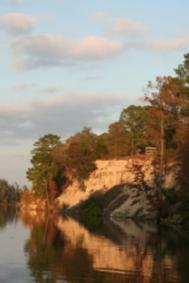 Carolina Cove is located on the northern end of Lake Livingston between Thomas Lake and Carolina Creek. It is a restricted neighborhood with 2 subdivision boat ramps giving you direct access to Lake Livingston. The homeowner association fees are LESS than 100 per YEAR, per lot, making it an ideal place to retire or enjoy a weekend home. Restrictions prohibit the use of mobile homes of any kind in the subdivision. Currently, there are approximately 90 homes in Carolina Cove. Utility providers to Carolina Cove are Windstream (Phone and DSL), Sam Houston Electric Co-Op, and Riverside Water Suppy. If you are looking to buy or sell in Carolina Cove or Lake Livingston, give me a call! *Note: This report is based ONLY on what is reported on the Houston Association of Realtors MLS. It does not include any For Sale By Owner data. Riverside VFD Dedicates New Fire Truck and Invites YOU to Attend! JUST SOLD! 79 Lakeview Drive in Green Rich Shores! Marvelous Monday Photos: Just Ducky!